OMNILINGUA is an award winning, independent language school founded in 1999. We offer courses in Italian, Arabic, French, Japanese, English, Portuguese, Russian, Spanish and German. OMNILINGUA has received several international awards for its services and for its high customer satisfaction and is officially recognized as a CILS preparation centre for the Siena University for Foreigners. We also offer translating and interpreting services for companies, entrepreneurs and private use. OMNILINGUA is located in the famous resort town of Sanremo. The school is very close to the historical part of the town and quick walk to the beach. Our highly motivated team will insure you have the ultimate learning experience. All teachers hold university degrees and are constantly keeping up their skills by attending workshops and trainings to provide students with a blend of traditional and modern teaching techniques. The teachers are all highly qualified with many years of teaching experience, and all teachers are native speakers of the language they teach and speak at least two other languages. OMNILINGUA’s objective is to offer stimulating Italian language lessons, as well as high quality translations in a warm and friendly international environment. Commonly known as "La Città della Pace" (City of Peace) and the City of Flowers, Sanremo was recently appointed as the home for the World Association of the Nobel Peace Prize. It has approximately 60,000 residents in addition to the many tourists who drive, fly or sail here. The city centre is a very lively place, highlighted by the famous Ariston Theatre, wide promenades filled with palms, elegant boutiques, and typical Italian markets. The charming historical centre of Sanremo is a perfect example of late-medieval Italian architecture. A wide variety of artistic, cultural, sporting and social events along with year-round mild weather make Sanremo fun-filled holiday destination. 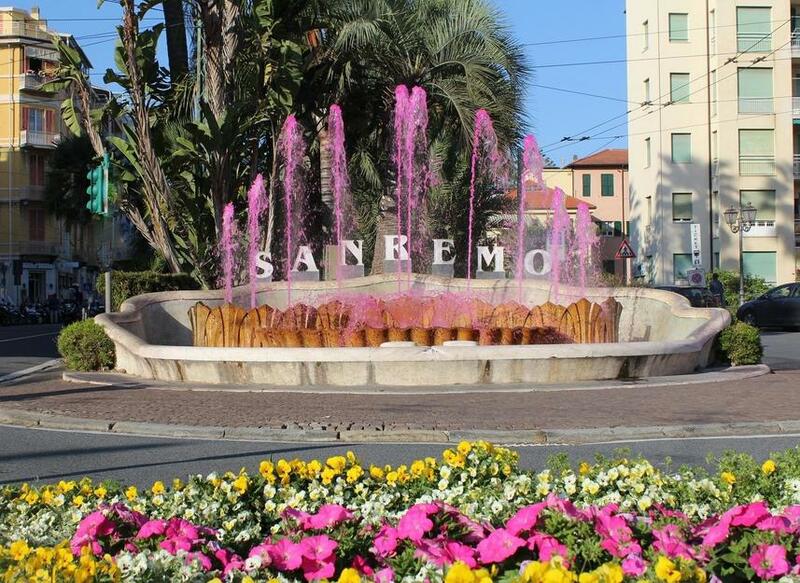 Sanremo is the capital of the Riviera of Flowers and is famous for its flower growing industry; millions of flowers are exported every year to the rest of the world. OMNILINGUA'S courses are divided into 5 main levels using the common European Reference Chart for language knowledge (CEFR). On completion all students will receive a certificate displaying the course they have attended, the respective dates and the level they have achieved. Each lesson lasts for 50 minutes and can begin at any time of the year. This course is ideal for people who only have a short amount of time for studying or if it is not possible to follow the lessons every day. OMNILINGUA is able to offer school groups and language institutes, 1 or 2 week of Italian language course. You and your students can study together for the entire course or depending on the number of participants, can be divided into 2 or 3 smaller groups. The course consists of 20 hours of Italian lessons a week from Monday to Friday from 9:00am to 12:40pm. The language course is integrated with an exciting social and cultural afternoon programme, for example guided visits to the wonderful Ligurian countryside or to the Olive Oil Museum, beach volleyball, football on the beach, ice cream and pastry tasting and much more. The available accommodation options for you and your students include homestays with Italian families, rented apartments and hotels.